The Healer Foundation: a network of 140+ complementary therapists covering a range of holistic therapies. The popular web site lists practitioners, therapy courses, workshops, training and MBS events across the UK. Claire Hegarty is a Health and Lifestyle expert with over 16 years experience in the field of personal development. 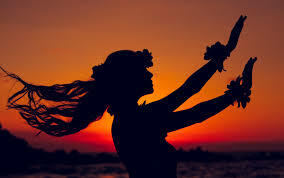 Her workshop 'An introduction to The Wizard's Secrets' covers a vast range of teachings from the ancient Hawaiian Islands right over to our European homelands and all around the globe. If you would like to learn how to have a more magical life and how to use spiritual techniques, her interactive workshop is a must-go-to. Join Grace Lockhart in her inspiring Angel Workshop. Angels - Ever wondered what angels look like or how they help people? This workshop will help you understand more about how angels impact our lives. You will also have an opportunity to share your own angel stories or listen to others tell their stories! In her fascinating workshop, 'Discover the Magic of Self Hynosis,' Lilian Prendergast will show you how you can best harness the power of your own subconscious to enhance your innate ability to bring more wealth, health, luck and love into your life! 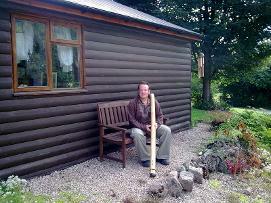 The talented Sound Healer and therapist Chris Thorn will be holding one of his celebrated didgeridoo workshops. Based in Oswestry, Chris a reiki master, offers a tranquil and uplifting experience.